My first early childhood development book. 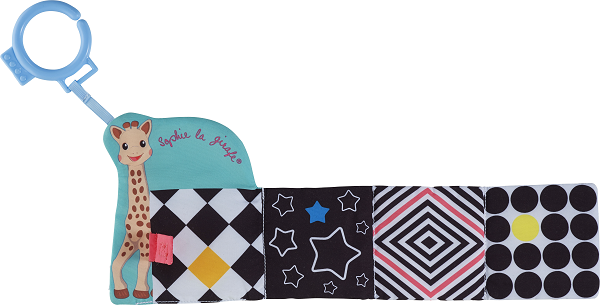 The book's eight designs ensure baby has fun whilst stimulating the senses. 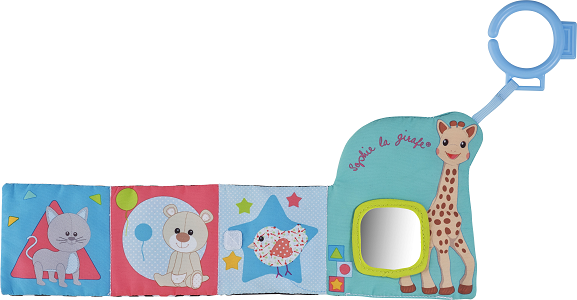 The coloured side encourages baby's imagination and allows them to meet Sophie the Giraffe and her friends. There is also a mirror to let baby see their reflection, and of course there is the classic 'squeak'! 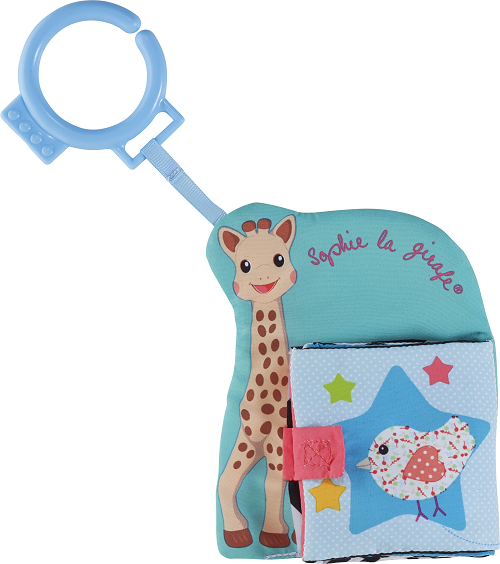 This book's convenient format means it is perfect for little hands and the clip-on hook allows it to be attached securely for baby's ease of access.